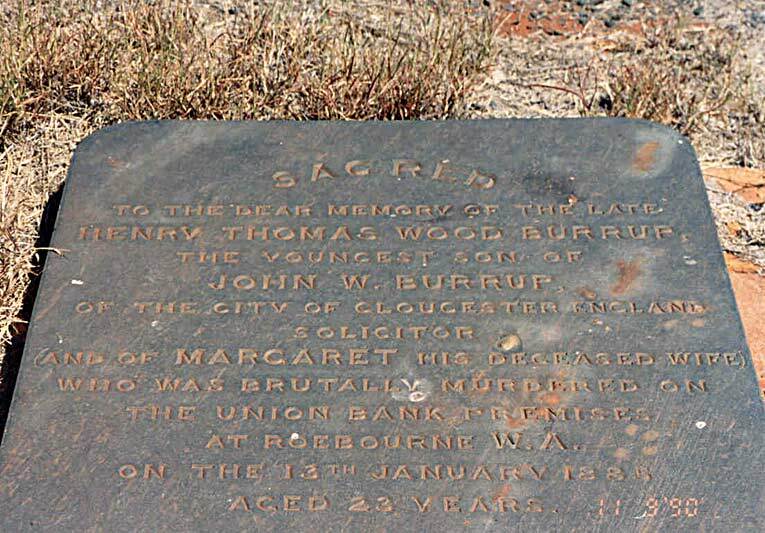 The 1885 murders of William Anketell and Henry Burrup at the Union Bank Roebourne and the ensuing investigation and controversy. Can you help with these names? Photo apparently taken two weeks before his death. It appears this photo is a copy taken from the original . 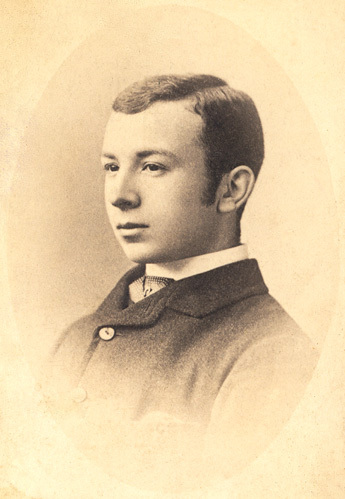 Henry Thomas Wood Burrup was born on the 22nd November 1861 in Longford, Gloucester England and was the youngest son of John W. and Margaret Burrup. According to the 1881 British Census, he was a bankers clerk and lived at 4 Palace Yd, St Mary Lode, Gloucester with his widowed father, a solicitor and maiden aunt, Elizabeth Burrup. By all accounts, it would appear that where ever he went, Henry settled in well making many friends. His death would have bought them much grief. She kept Henry’s framed photo for many years. taken at Roebourne in 1885. Used with the kind permission of Gay Fielding. T.W. Burns was Thomas White Burns, son of Robert Burns who was a witness at the trial of Warburton, Bevan and San Qui. “To be returned to Mrs. Walters, Loudon, near Donnybrook. Mr. Burrup, murdered at Roebourne in the eighties”. Mrs Walters was Jean Ann Walters “Jane”, nee Lewer. 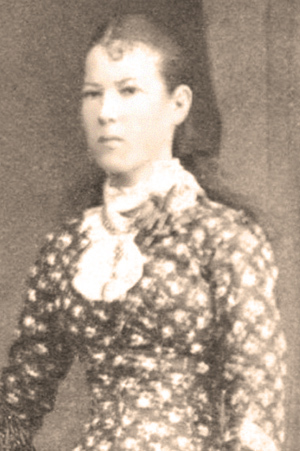 She was the daughter of Robert Lewer and Jean Ann “Jane” (nee Campbell). 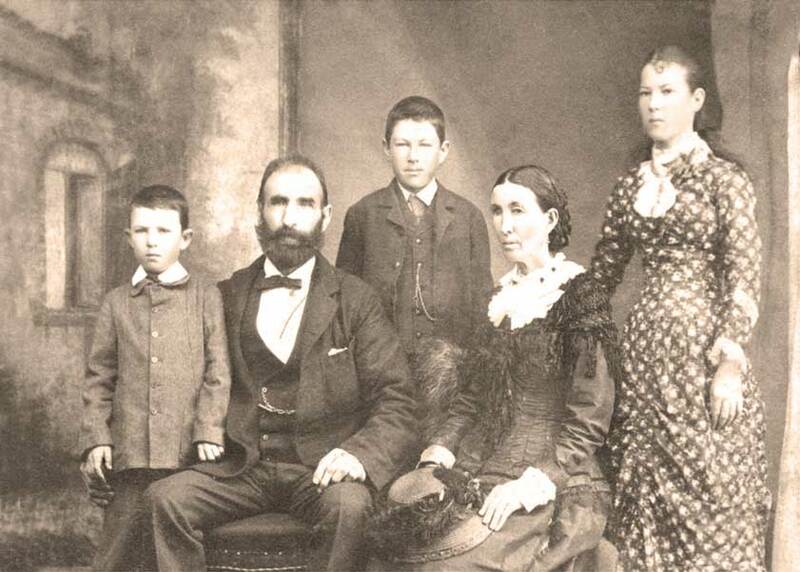 Robert Lewer died in 1874 and later that year Jean Ann, his widow, married Robert Burns. Jean Ann Lewer (Jnr.) lived in Roebourne at the time of the murders and was one of the few young women in a town of only 100 or so people. As Jean Ann was aged 17 or 18 and Henry being only 23 there may have been a friendship between them. Could they even have been sweethearts? I believe that at some point the original photo was removed from the frame to be copied. This explains the note on its back, “to be returned to Mrs Walters”. And, like the original, the copy has an identical oval frame “shadow” around it. Jean Ann Walters’ brother Thomas White Burns had possession of the copy which we know he gave to the Union Bank. The original ultimately ended up at the previously mentioned W.A. Historical Society. In August 1885 the Government Surveyor F.S. Brockman named the highest hill on the then Dampier Island, Mount Burrup in honour of Henry. In the mid 1960’s Dampier Island was connected to the mainland by a causeway and in 1979 was renamed the Burrup Peninsula (Murujuga – in Yaburara/Ngarluma language meaning “hip bone sticking out  ) . I will finish this short biography of Henry Burrup with the poignant words from his friend, (identity unknown) who was also a correspondent for the West Australian newspaper. Photo used with permission “From the Shire of Roebourne Local History Collection. 2005:974. * Cave’s Hotel is the Roebourne Hotel. Mr Thompson bought the hotel on the 3rd February 1883 and a week later, on the 11th February married Mrs. Cave, widow of Mr. H. Cave, junr., formerly landlord of the hotel. After her husband’s death Mrs. Cave had carried on that business. This website was selected for preservation by the State Library of Western Australia. It is now listed in perpetuity on PANDORA, Australia’s website archive. Copyright © 2009-2019. The Roebourne Bank Murders. All rights reserved.